At the School of Education, our students learn well in the classroom so they can make a lasting impact in classrooms of their own. 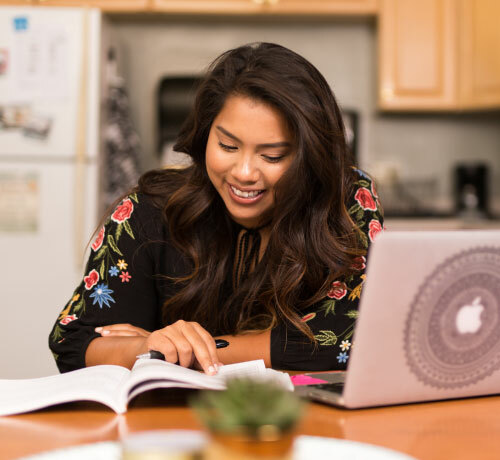 Our rigorous, biblically centered programs are geared toward a variety of students — ranging from aspiring teachers to longtime educators — all seeking to enhance their skills and advance professionally. Biola’s School of Education offers an array of degrees and learning formats: bachelor’s programs to lay the foundation for a fruitful teaching career; master’s programs that transform those with a love of teaching into passionate, skilled educators; and certificates and credentials to augment existing knowledge and provide career advancement. Programs are offered in online and on-campus class formats. The School of Education’s online programs give you the flexibility of learning wherever you are. Our online programs and courses offer the same innovative education with the same stellar faculty who teach on campus. At the School of Education, students don’t just learn in the classroom — they practice what they’re learning in a fieldwork setting. As a School of Education student, you’ll have the opportunity to teach in local schools, overseas, in homeschool settings, and even practice using technology you would use when teaching in your very own classrooms.